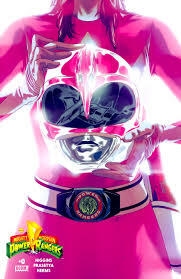 pink ranger power. . Wallpaper and background images in the Mighty Morphin Power Rangers club tagged: photo. Rocky, Tommy, Billy, Adam, Kimberly, and Aisha. Power Rangers: 20 years in 2012!